I read this article and found it very interesting, thought it might be something for you. 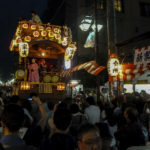 The article is called 15 Things To Do in Kawagoe and is located at http://trip-n-travel.com/listicle/7057/. Kawagoe is part of the Saitama Prefecture. This could be an easy day trip from Tokyo. You will encounter a town which dates more than 1,000 years back. You can go back through time and then enjoy the town’s history up until the modern age. Kawagoe used to be an important religious center in its early history and today is well-known as Tokyo’s supply town. This is a nice area to walk and observe the architecture. You will run into old merchant shops that sell handicrafts and local products. You can enjoy some local food and sweets and buy souvenirs to remember this place by. There is a little wooden shed where you can eat your sweets and exchange experiences with other customers. Kita-in is a very spiritual and peaceful temple. The admission is 400 yen. There are some smaller shops selling snacks and amulets. The place itself is well preserved and you can take some great photos. You can rent a bike nearby if you wish to explore the area. This is a little alley where you can find traditional Japanese candies. Good variety, unusual flavors, you can take a sample or purchase the goods. Enjoy the sweet potato which is the local specialty and long gluten stick snacks. Something that your children would be very grateful for. If you come there at every 3 hours from 6 am to 6 pm you can hear what they call “one of the 100 soundscapes of Japan”. Walk the narrow walkway past the building to watch the bells being rung. 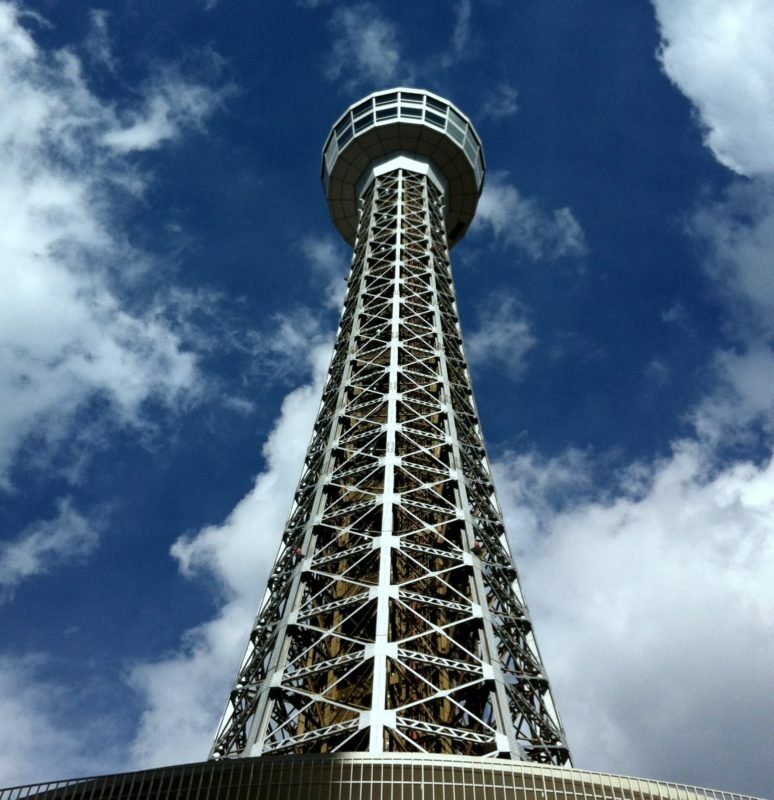 The tower overlooks the shopping street and it stands as a wonderful photo option. Kawagoe is well-known for its architectural style. The castle itself ceased to exist in its original form a long time ago. The Primary Hall, though, still remains in its original state since 1878. The rooms are principally empty and covered in Tatami mats. You get to feel the style and architecture of those times. The admission fee is 100 yen. This festival is regarded as the important intangible folk cultural treasure of the country. 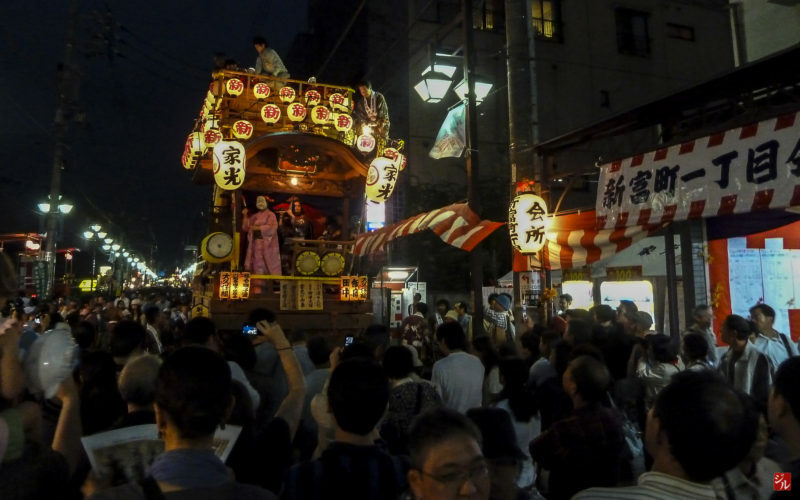 The Hall of Kawagoe Matsuri presents materials to protect this tradition. You have the possibility to see how the festival and rituals have changed and the visual exhibition regarding the festival, including preparations. This way it is still possible to touch the history about Kawagoe Festival . Kumano Shrine is established near Renjakucho. It is well known for the torino-ichi, a store where you can buy good luck charms for your business. People supposedly wash their money in the pool to achieve good fortune and prosperity. In order to enhance people’s health, Kumano-Jinja produced “Ashibumi Kenkou Road” (Healthy Stepping Road), a pathway with multiple stones embedded. It is assumed to be useful to health by stimulating the soles of your feet to increase the blood flow. Renkeiji Temple is close to the train station and it is worth visiting for a short while. When you look at the temple from the outside you can notice these vivid curtains hover at the entrance. It is very photogenic. Inside is the Binzuru statue where people pray for their health or help with the diseases. There is a large bell which rings eighteen times at 3 pm. The founder of Naritasan Kawagoe Betsuin temple is Ishikawa Shouon Shonin who lost his eyesight and became miserable. 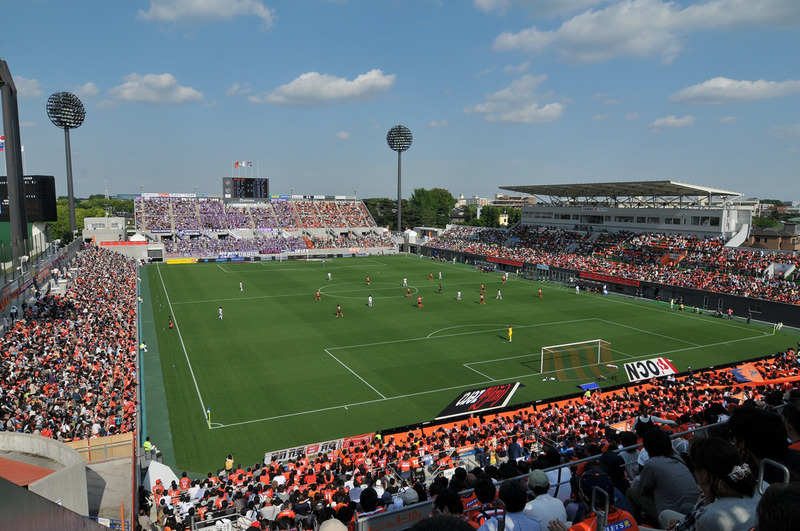 After passing the self-discipline at Naritasan Shinsoji, he defeated his handicap and regained his vision. He, then, founded the Fudo Temple in Kawagoe Toorimachi but it was relocated to Kubomachi. The temple enshrines Ebisuten and you will find it on the tour of Seven Divinities of Good Luck temples. Crea Mall is the outdoor modern Japanese shopping street. 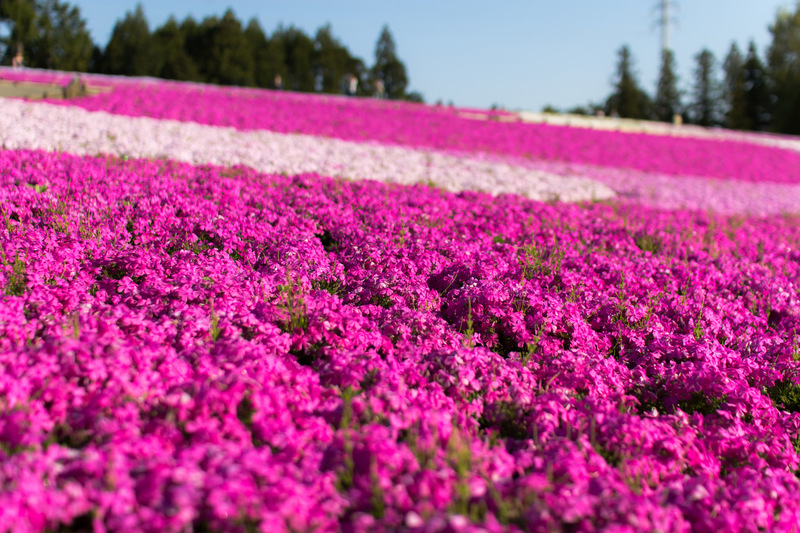 It will take you a 2-minute walk to get there from Kawagoe Station and 5 minutes from Kawagoeshi Station. You can find large Maruhiro and Atre department stores, major chain retailers, smaller specialty shops, and a lot of restaurants. You can enjoy some fine musical performances on the street and there is a play area with a fence around it for children. 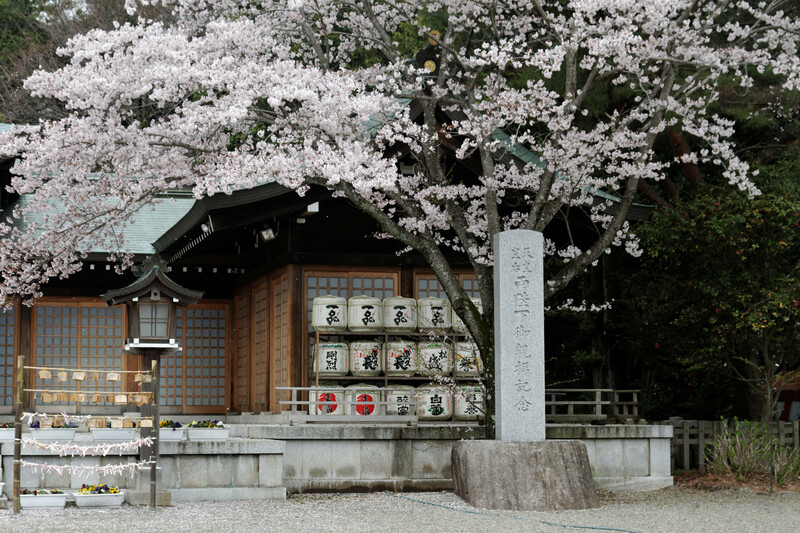 Semba Toshogu Shrine is considered to be one of the three important Toshogu shrines in whole Japan. Haiden Front Shrine, Zuishin Front Gate, Karamon Gate, The Honden Main Shrine, Mizugaki Fence, Heiden Side Shrine, and stone Torii Gate are all considered as important cultural treasures. There are some elaborate carvings in the shrine pavilions. A statue of Ieyasu is inside the main shrine. Kurazukuri Museum is located in an old warehouse which was built in 1893. The visitors can walk around the museum which once was a business and a home. They can experience how merchants lived in this area and find out more about kura buildings Kawagoe is famous for. The main exhibits are the buildings themselves but there are also several smaller displays that can easily blow your mind. Saitama Prefectural road is of a total length of 22 km by the Iruma River. It is perfect for cycling or jogging. There are benches and toilets along the way so you do not need to worry about that. There are some eateries as well if you get hungry. You will be able to admire the landscapes of four seasons and take some memorable photos and still do a great workout. 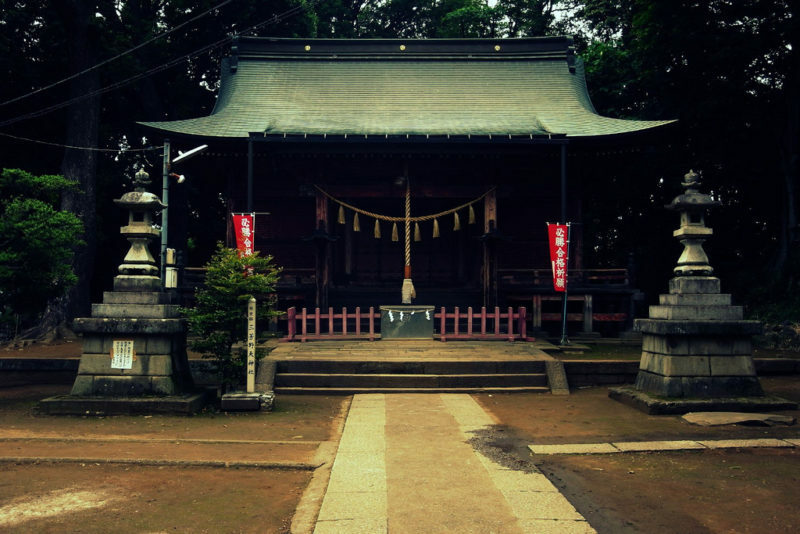 The shrine, recognized as Miyoshino-jinja, is devoted to Tenjin, who is considered the god of learning. It used to be the guardian shrine of the castle and it is a popular place for students who pray for their academic success. This is the birthplace of the well-known Japanese preschool rhyme “Toryanse (You may pass)”. And there it is. You have these ancient temples, samurai, and their traditions. Additionally, Kawagoe is accepted as the main commercial and shopping center for this region of Saitama. Enjoy the touch of history, nature, and experience the modern way of life the town has to offer.